WATERLOO, Ont. -- BlackBerry Ltd. says it earned US$51 million in its latest quarter as revenue climbed higher fuelled by gains in its software and services business. The company, which keeps its books in U.S. dollars, says it earned eight cents per diluted share for the quarter ended Feb. 28. That compared with a loss of $10 million or six cents per diluted share a year ago. Revenue totalled $255 million, up from $233 million. 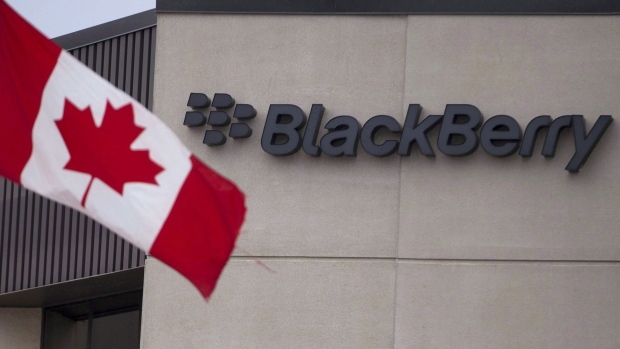 On an adjusted basis, BlackBerry says it earned 11 cents per share for the quarter.